The Hyde Park neighborhood youve always dreamed of blended with the luxury of 2005 custom construction by Soleil Design. The gracious wrap around front porch welcomes you in to this stunning craftsman style home. You will immediately be enticed by the architectural detail...from the beveled glass entry to hardwood floors throughout, 10 foot ceilings, double paned casement windows, extensive custom molding and plantation shutters. The open family room and kitchen are filled with light, providing French door access to the pool and backyard. Youll feel like a gourmet chef with the professional stainless steel appliances including a 6 burner gas cooktop, white wood custom cabinets, a subway tile backsplash and granite countertops. The outdoor lifestyle will be one of your favorite things about this home! The large covered porch leads to the private, heated pool and jacuzzi, gas grill, outdoor shower, mosquito repellent system, pavered entertaining area and gorgeous landscaping. A two car rear entry garage features a perfectly designed guest house above complete with bedroom, full bath and kitchenette. Upstairs in the main house, the master suite is generously sized with two closets, jetted tub, shower, dual sinks and water closet. Also upstairs are the two additional bedrooms and hall bath, along with the laundry. 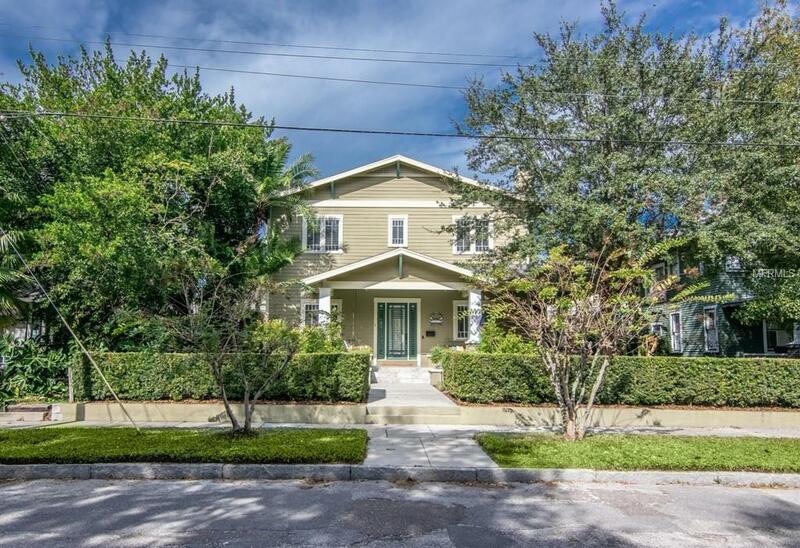 The allure of the historic Hyde Park district provides the perfect backdrop for this well-appointed home. Walk to Hyde Park Village, run on Bayshore, and live the life youve always wanted.